RAPAPORT... Sales at Alrosa fell 33% year on year to $377.1 million in March, even as the rough market picked up after a weak start to the year. Rough-diamond proceeds were $369.2 million for the month, also 33% lower than the figure the miner reported a year ago. Polished revenue dropped 12% to $8 million. However, overall demand has improved versus February, with total sales up 9% month on month, the Russian miner said. In the first quarter, Alrosa’s rough-and-polished sales slumped 37% to $1 billion. Revenue for rough plunged 38% to $987.9 million, while polished fell 31% to $16.3 million. Demand is generally strong during the first three months of the year, as dealers and retailers restock after the holidays. 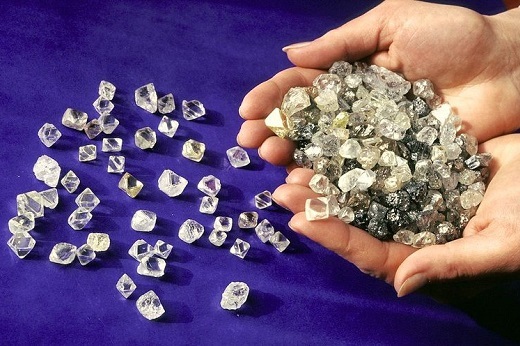 Alrosa is “cautiously optimistic” about sales in the second quarter, Ivanov added, noting that despite difficulties, Indian manufacturers — a large portion of Alrosa’s client base — have been gaining greater access to funding.